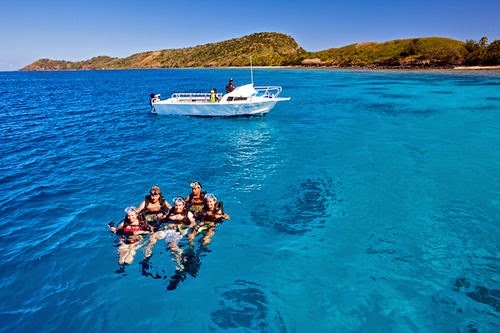 Despite the remoteness of Fiji Island, known to American tourists until became their ideal tourist destination in spring season, where the finest resorts overlooking white sand beaches and stunning nature, not to mention it's a proper place for a better honeymoon for couples, the climate is generally hot , where the summer season starts in November and ends in April, but rainy in winter . 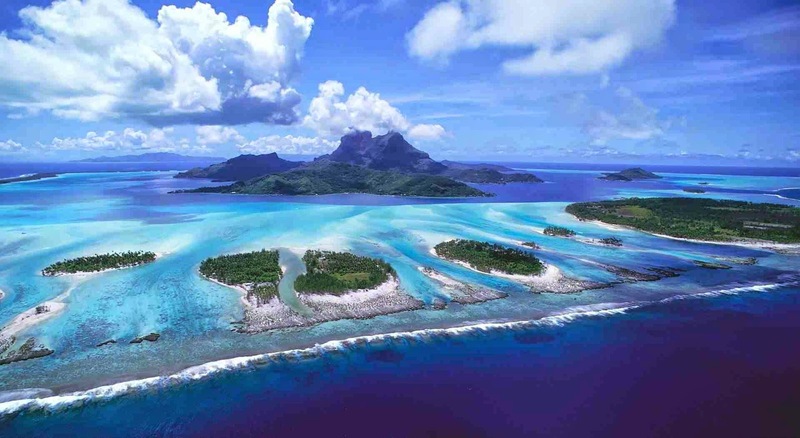 the beauty of this island will captivate you with its beaches ,dolphins ,charming turquoise lakes , and if looked to heaven you will see the pink birds simplify their wings on the sky on the dense rain forests. 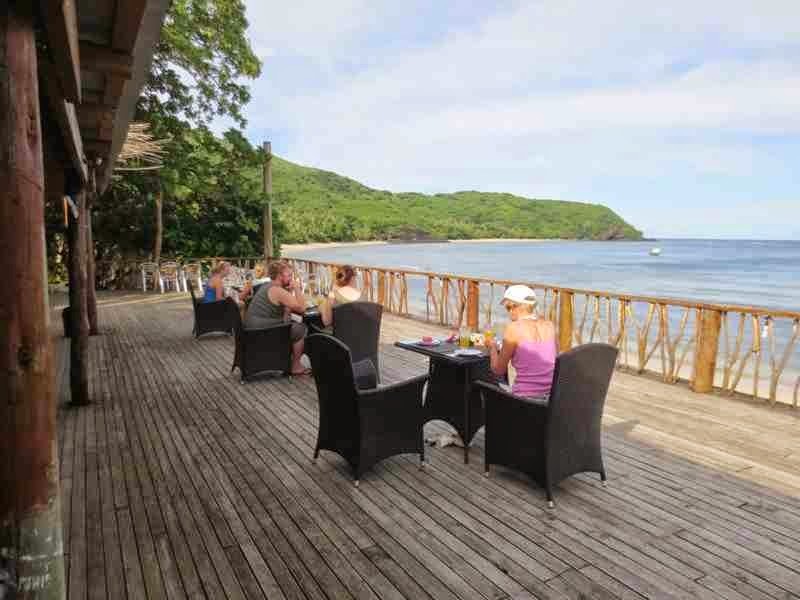 During your trip to the Republic of Fiji you can navigate in more than 100 inhabited island, plus more than 200 other island, the best way to navigate within the island is a "corridor Paula" at cheap prices, there you can see the adventures of Fiji , where the Marathon "streaming" daily from Denarau Marina in Viti Levu, which considered for Fiji's citizens as a core land ,and characterized by beautiful beaches and several resorts that attract tourists to an atmosphere of romance ,as well as "Mamanuca " a group of tiny islands west of Viti Levu and Island Yasawa ,both gives you a sense like you are in green paradise for travelers photography enthusiasts with spectacular colors. You can navigate through corridor Paula through "Paula bus" Foundation operates flights in Yasawa island, which enables you to navigate among the Islands all within five to ten days. 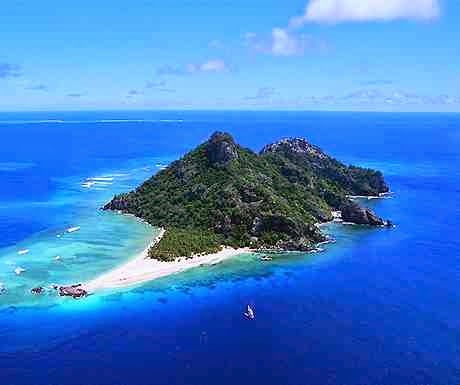 The island of "Yasawa " and "Yakta" from the most important and most beautiful islands to enjoy the beaches ,swimming ,diving experience and watch the reef. 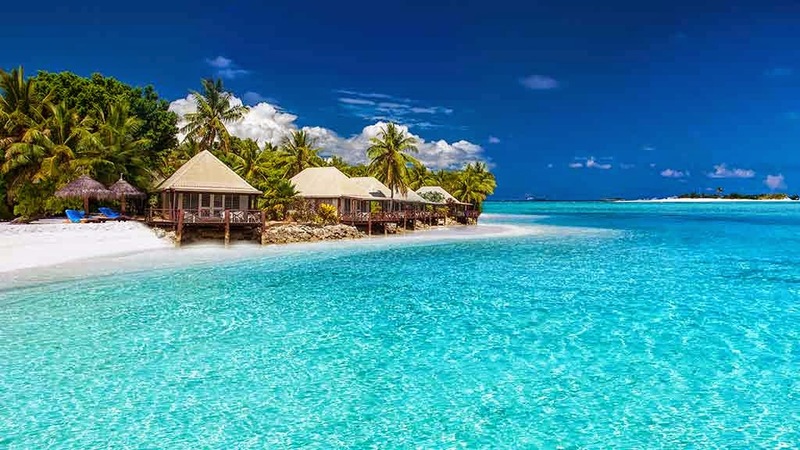 Resort "Botaira" also is characterized by calm and quiet, some tourists prefer to dive amid the abundant fish and its amazing species including the giant multicolored oysters that live in coral reefs, as kayaking and skiing or enjoy relaxing on the beach only. Either resort "Otto & Fanny's" is famous for couples and popular for holiday honeymoon, offering spacious rooms with three meals a day with inexpensive prices, while "Blue Lagoon Resort" with a good reputation for food and excellent resort facilities, either the resort "Mantaray" is best known for diving with breathing tubes. Because of the greenery vast areas , Fiji is famous of Rugby which needs this vast areas ,as well as its various cultures ,which considered a rich mosaic of indigenous populations and many traditions ,whether Indian by indigenous to the island or Chinese and European, as evident in social and political life and even food and clothing ,and the diversity and pluralism that you see in all fields such as architecture, arts and crafts, music, dance and sport.